10 Apr 2015, 11:02 a.m.
Today for the first time since 1999, Hackney will field a vets team. 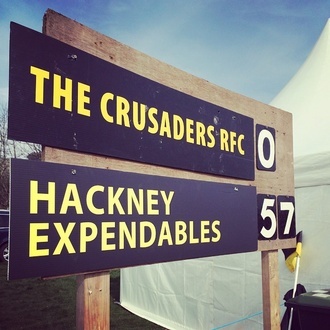 The Hackney Expendables will be competing in the world famous Melrose Vets 10s. Hackney will line up against Gregor Townsend's team and Gavin Hasting's team as their first matches of the day. They remain optimistic of taking the title.